Of course, you are not able to read their mind, so you will want to be prepared to answer this objection when you are recruiting church greeters. Or, your greeter could honestly have no practical idea on how to notice a first time visitor in the crowd of people who walk through your door. Here are a few clues that you can suggest in your training that will help you lead your church greeters. You can use these three quick points when your potential greeter recruits say that they won’t know who the first time church visitors are. A first time church visitor may not immediately know where various spaces are located in your building. Where is the church bathroom? Where is my Sunday School Class? Where is the Mayberry Room or the Parlor Room for the Suzie Mitchell Class? 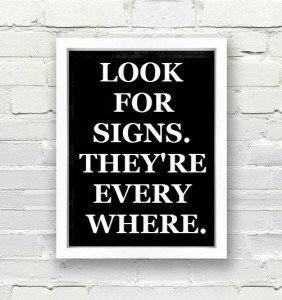 Your visitors might be staring through the crowd of people, looking for eye-level signage on walls. They might be looking over the top of everyone’s head for signs hanging from the ceiling. If you have rooms and classes named after dead people, please consider going visitor friendly and dropping those names. Your visitor doesn’t know why Mayberry was important, nor why a long dead Sunday School teacher still has a class named after her. If your volunteers wear a uniform shirt, or wear a name tag, or where a lanyard with their name, a first time church visitor may feel comfortable enough to ask whatever question is on their mind. I’m not big on name tags for every single person in the church, but I do think a church that thinks of its first time guests will at least have a name tag, lanyard, or some kind of church branded identification on them. This visible designation of “official staff” for your worship gathering allows you to approachable. When I was recently in an amusement park in the United States, I couldn’t find a water fountain. I found someone with a park ID badge on and asked. 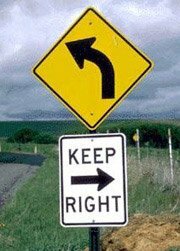 They pointed me in the right direction. 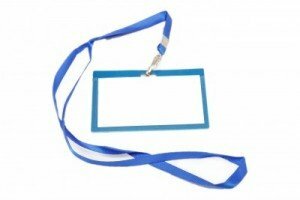 Make yourself approachable with some kind of name tag or badge, or maybe even consider a branded polo shirt. Your first time visitors will thank you, and you’ll have created another way to know who you first time visitors are. People who walk in a direction with a sense of purpose likely already know where they going. However, people who are entering your place for the first time may not seem so confident of their destination. Eyes scanning everything that they could possibly see in all directions. Sometimes looking at a map. . .
As I watch tourists in my city, they walk slower than everyone else. They are looking around at all the sights they are seeing for the very first time. They often stop and point. Whereas the normal residents around them are simply listening to their mp3 player, walking forward with some speed and intentional composure. If you observe the pace at which people walk, you might detect a first time visitor. You might think of other visible evidence of the behavior of first time church visitors. If you can think of one right now, would you put it in the comment box below? I am at a new church and I want to get your stuff emailed to my new church email. Is that possible? I have found all of this unexpectedly helpful when I came across it this morning after church, looking for a better understanding of what ushers do. What about the worshiper who prefers to come in quietly, take an order of service from the ones laid out on the foyer table and go to their seat without having to run the gauntlet of outstretched hands and hearty ‘good mornings!’ ?Shouldn’t this be possible for those who are hesitant, unwilling or nervous about all the aspects of encountering a church service for the first time and asking just to be let alone so as to gain a perspective on what they may be are about to experience? Hi Chris, your information is very helpful to us who wants to take our ministry a notch higher, i am about to use some of your information at our next ushering meeting. Thank you Paulina. I’m glad you are finding my stuff helpful!